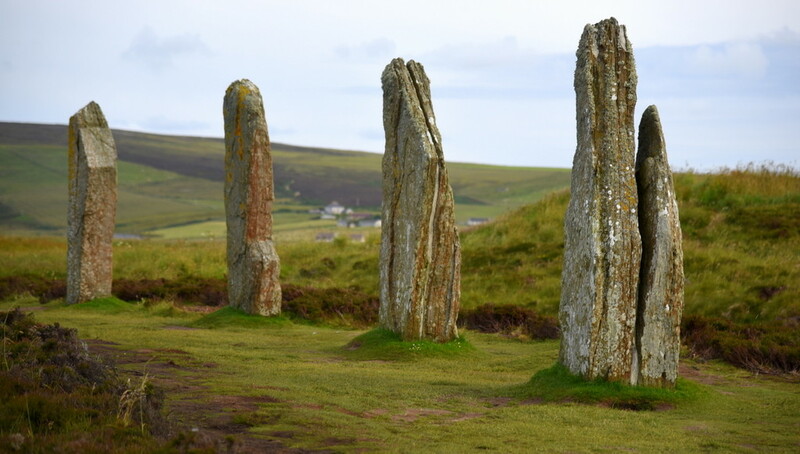 Orkney boasts an astonishing concentration of 5,000-year-old Neolithic monuments — some of the best in Great Britain (and that’s really saying something). 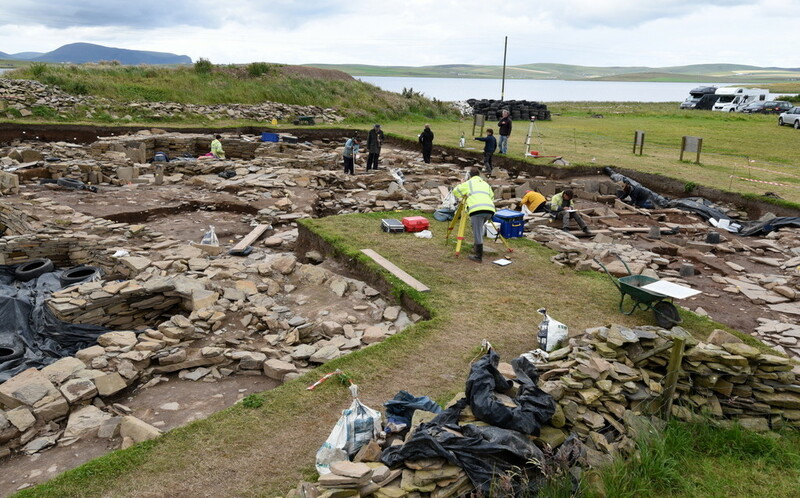 Five thousand years ago — before the Picts and Celts, before the ancient Greeks or Romans, before the Great Pyramids, and even centuries before Stonehenge — Orkney had a bustling settlement with some 30,000 people. These prehistoric Orcadians left behind structures from every walk of life: humble residential settlements (Skara Brae, Barnhouse Village), mysterious stone circles (Ring of Brodgar, Stenness Stones), more than 100 tombs (Maeshowe, Tomb of the Eagles), and a sprawling ensemble of spiritual buildings (the Ness of Brodgar). And of course, this being the Stone Age, all of this was accomplished using tools made not of metal, but of stone and bone. Of Orkney’s many stone circles, the Ring of Brodgar is the biggest. Of the original 60 to 80 stones — creating a circle as wide as a football field — 27 still survive. The ring, which sits amidst a marshy moor, was surrounded by a henge (moat) that was 30 feet wide and 20 feet deep. 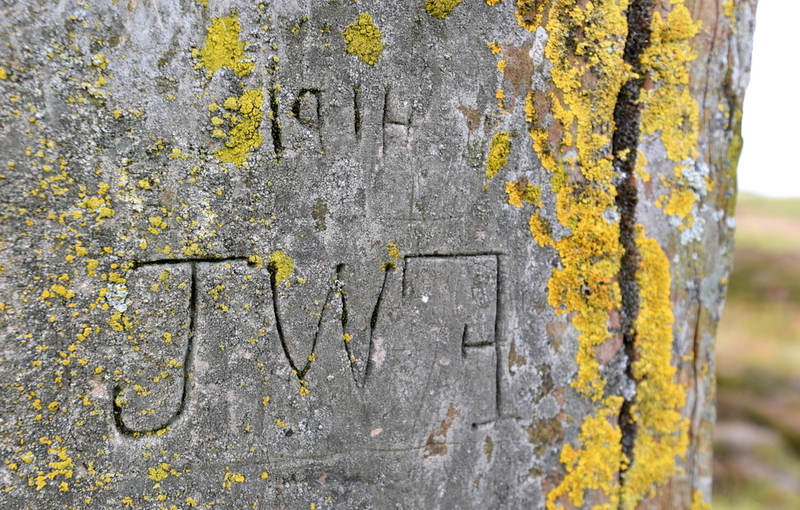 Some of the ring’s stones are carved with “graffiti” — names of late-19th-century tourists. There’s even some faint Norse runes carved by a Viking named Bjorn around A.D. 1150. Orkney offers a unique opportunity to see an actual archaeological dig in progress, at the Ness of Brodgar. Discovered only in 2003, the site is carefully covered ten months out of the year — but in July and August, anyone is welcome to watch the archaeologists at work. 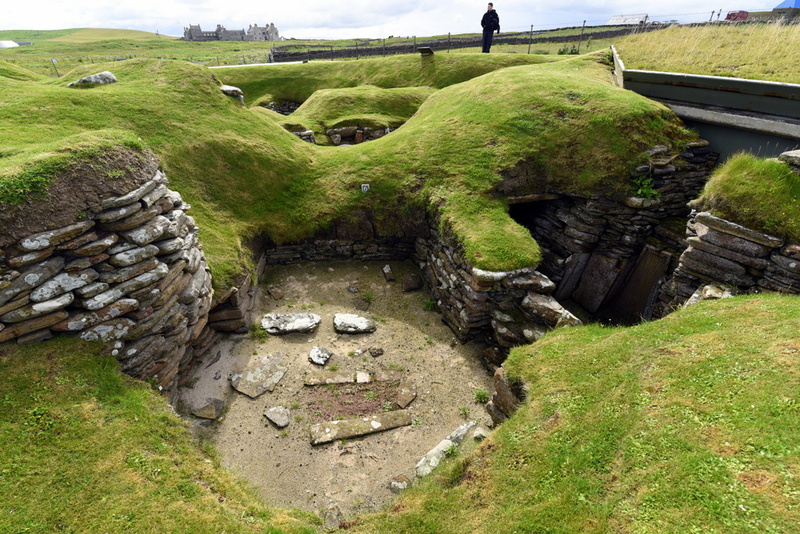 At Skara Brae, you can see how some Neolithic people lived like rabbits in warrens — hunkered down in subterranean homes, connected by tunnels and lit only by whale-oil lamps. All of this was covered with turf, with only two or three entrances and exits. Because sandstone is a natural insulator, these spaces — while cramped and dank — would have been warm and cozy during the frequent battering storms. A primitive sewer system, flushed by a re-routed stream, ran beneath all of the homes, functioning not too differently from modern sewers. They even created an ingenious system of giant stone slabs on pivots, allowing them to be opened and closed like modern doors.